I spent about 30 minutes making my first creation with Canva; if you haven’t given it a try it’s really easy to use and a lot of fun. Students can create all sorts of graphic images to use in various projects or as a stand alone item. Be sure to also check out their new Design School too. 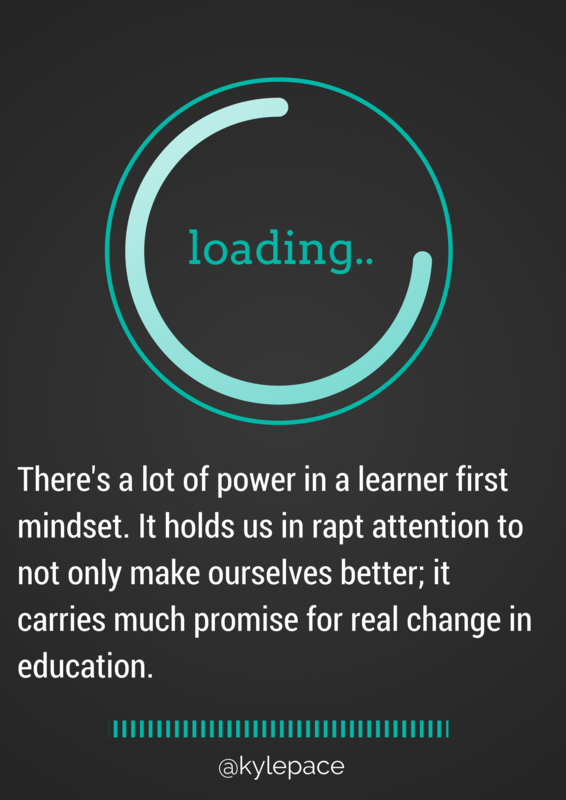 I wrote up this thought about a week ago about the power that having a learner first mindset has not only for ourselves but also for our students and children. If we’re truly a “learner first”, how could we not be open to new ideas and pedagogies to change teaching, learning, and school in general for the better? Is it time to divorce a district when its leaders don’t feel the same? The struggle is real… how can I change or convince the ones who control and push policy and expectations – at the campus and district level – to become “lead learners” themselves? There’s quite a bit of “do as I say because I heard it’s good for students … but I don’t really want to model or practice that myself.” Thanks for listening.